The micro perforated steel panels allow some airflow together with a degree of transparency. The top and bottom of each panel section is fitted with a 102mm high aluminium panel. This panel consists of an aluminium extrusion 2mm thick. It is connected into extruded hinge cleats with a 15° off-set to facilitate folding. The curtain is constructed of 152mm wide modules linked together by a continuous aluminium hinge. These hinges hold different curtain designs created by using different infils – in this case perforated steel with holes approx 5mm diameter which provide a minimum of 30% clear airflow. Manufactured from a strong tempered aluminium alloy class 6351 –T6 Extrusion, 34mm wide x 42mm total height. Track secured with 2 inch size 10 dome head square drive single thread screws. 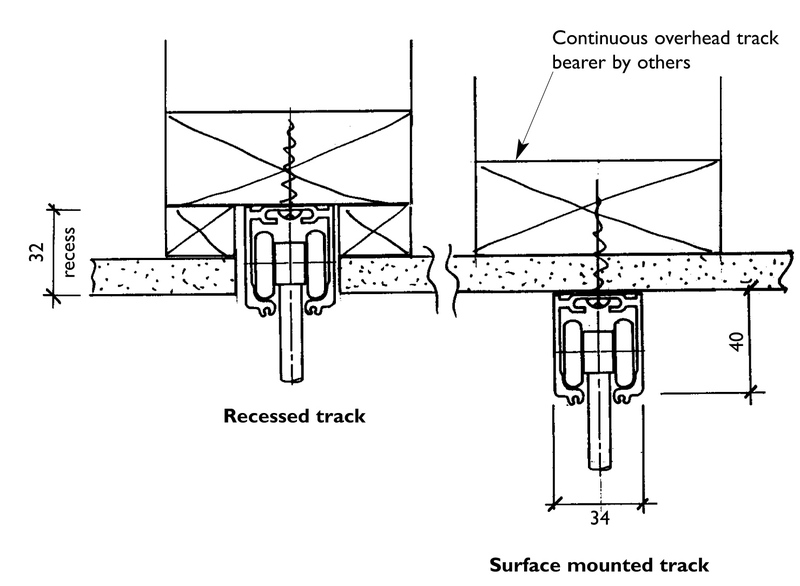 The top of alternate panels is connected into the overhead track by a suspension rod and pairs of trolley wheels. Simply pull or push the Aeroflex Sliding Shutter to open or close. 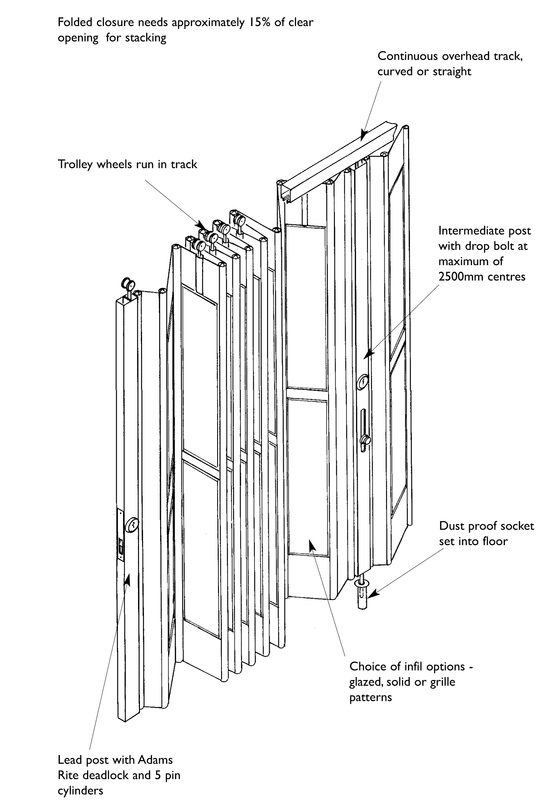 Any length of Aeroflex Sliding Shutter can be manually operated by a single person.